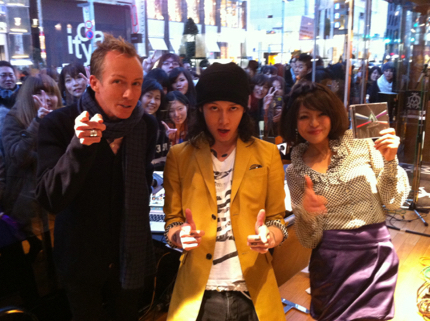 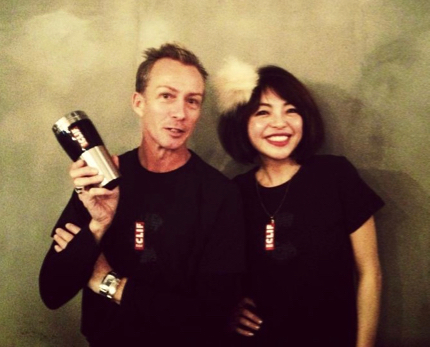 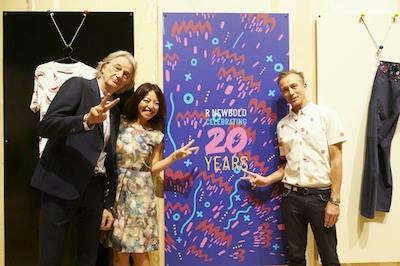 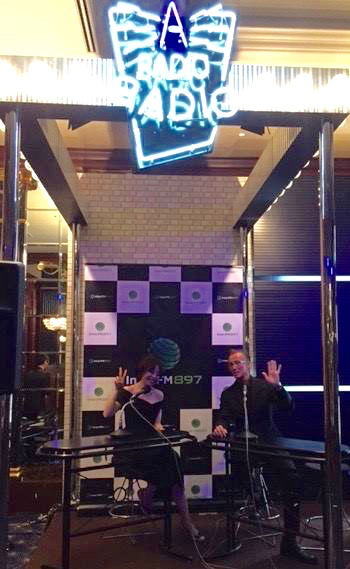 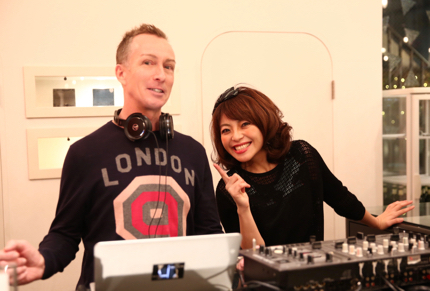 Guy Perryman and his radio co-host Madoka “Maddie” Kato can be your bi-lingual MC’s. 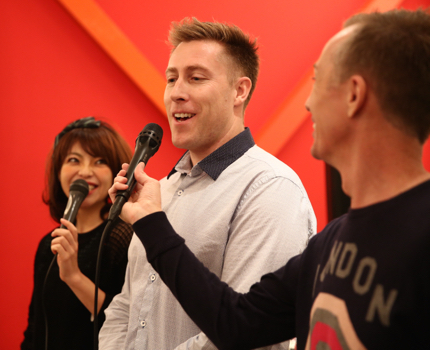 Having broadcast live on air together daily and weekly since 2012 Guy and Maddie have become a slick English/Japanese bi-lingual MC team. 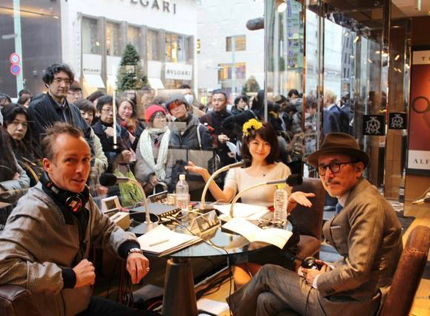 They have interviewed many people with simultaneous translation at various events in Tokyo with a sophisticated and friendly style. 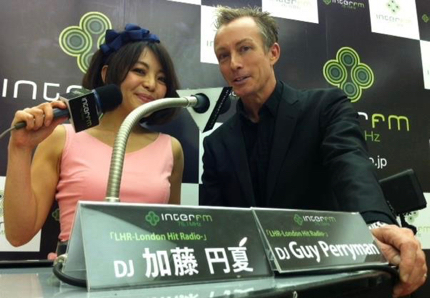 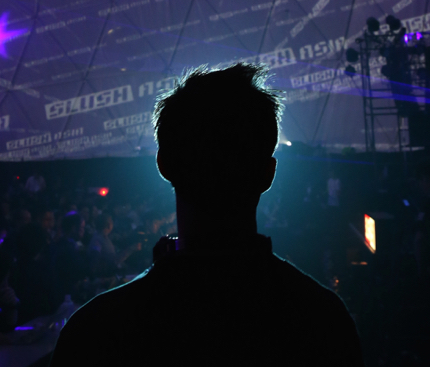 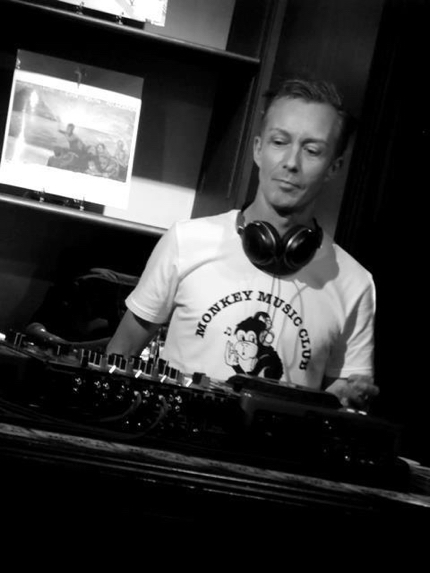 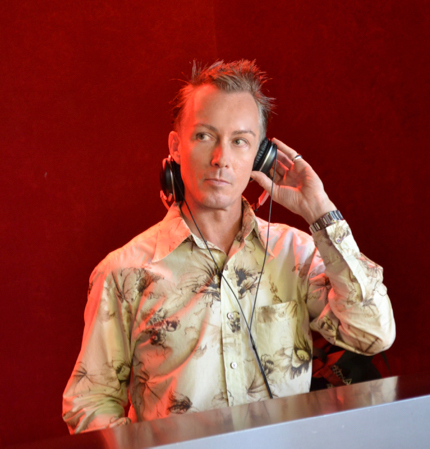 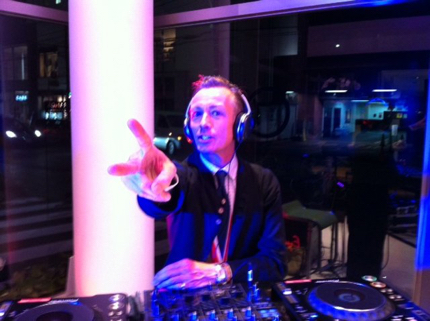 Guy can DJ and together with Maddie create a smooth FM radio feeling for your event!! 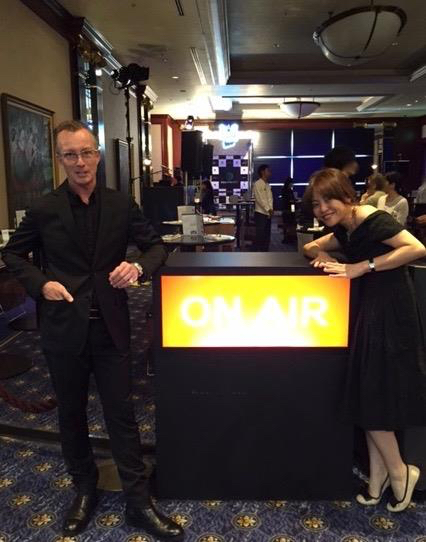 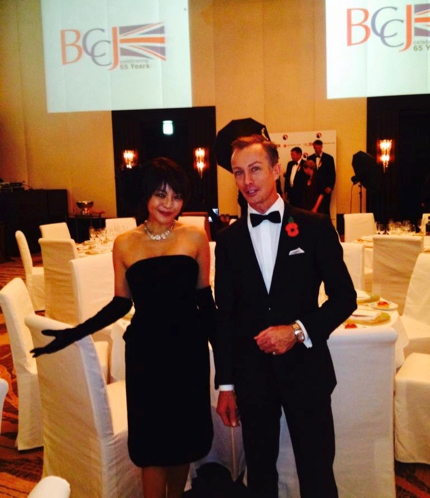 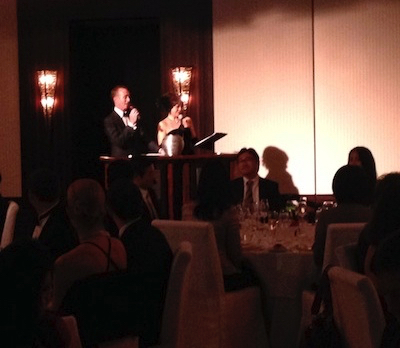 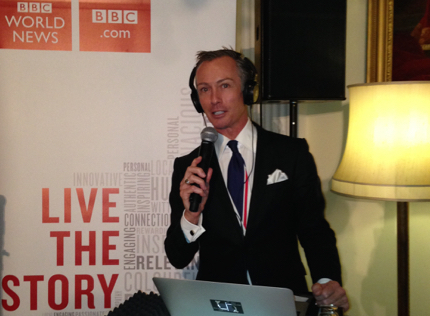 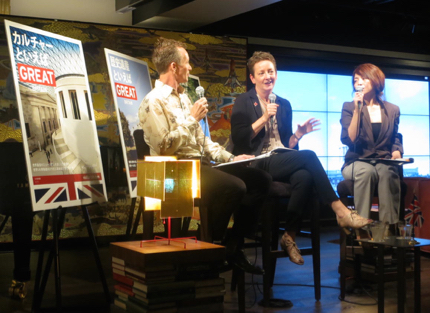 Here are some pics of Guy and Maddie in action MC’ing and DJ’ing for Alfred Dunhill, Paul Smith, Mini, Isetan, Vulcanize London, Ted Baker, Slush Asia, BBC World, British Embassy Tokyo, British Chamber of Commerce in Japan annual British Business Awards and Visit Britain.